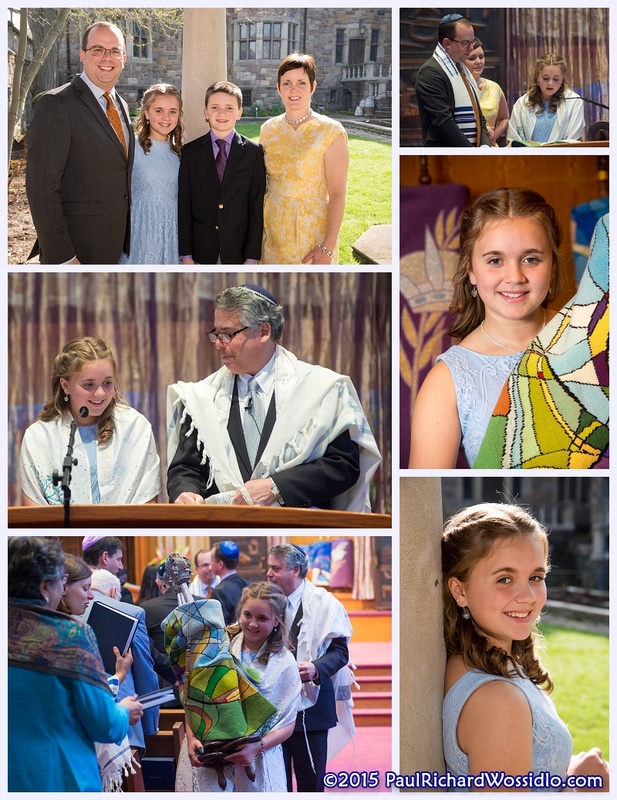 Olivia's Bat Mitzvah was my second one for 2015, and was also at my "home base" of Temple Sinai in Squirrel Hill. One of the hardest things to photograph during the service is to get people actually looking up, instead of looking down at what they are reading. Olivia made it easy for me. She would notice me at the back of the sanctuary, and she made it a point to look at the camera and smile, making for the perfect "Kodak Moment". We lucked out in that this was the nicest weekend of the year to that point. Plenty of sunshine, and a high temperature in the low 70s. Because I can do formal and family photos quickly when I have to, we had enough time after the photos in the sanctuary to head to the rose garden behind Temple Sinai to shoot some great stuff. There weren't any roses yet, but the sunshine, combined with the dark walls in the background, made for some wonderful shots. Olivia didn't want your typical Bat Mitzvah party, so instead of the usual locations, her family rented out the BRGR restaurant in East Liberty. The kids were upstairs on the top balcony, while the adults were underneath in the main restaurant area. Entertainment was provided by Vincient the Magician, who provided amazing performances that wowed both the adults and the kids.